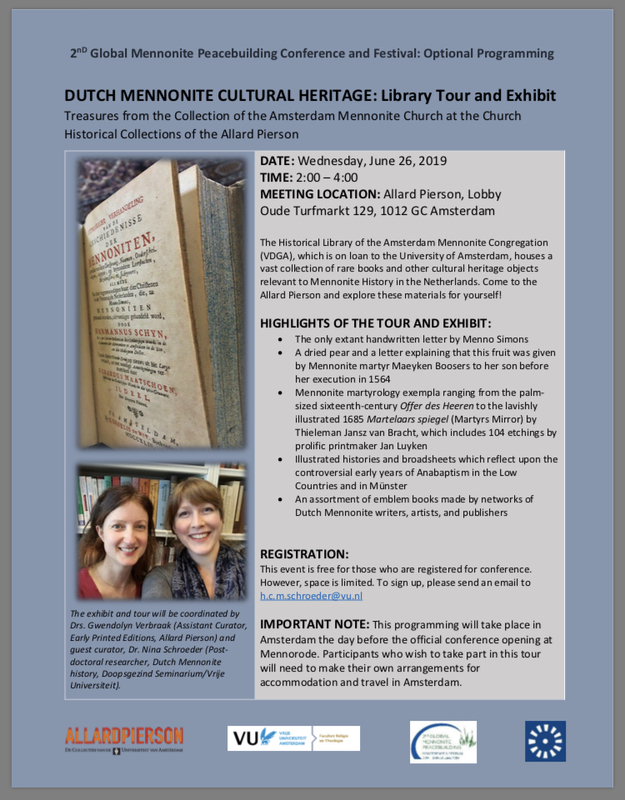 Would you like to attend an exhibit and tour featuring rare books, prints, and other Mennonite cultural heritage treasures from the Mennonite Library in Amsterdam? Entry for this auxiliary conference programming is free for conference attendees, but space is limited... see more about the tour details and highlights above. Before and after the conference there will be some opportunities for additional optional programming, like this tour. Keep checking the Facebook page and website to find out about these opportunities!